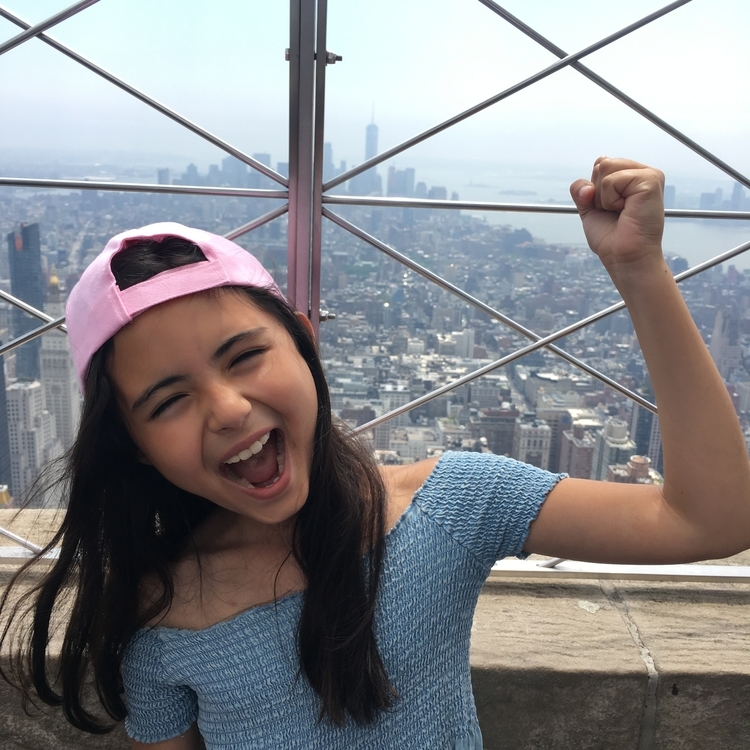 I will remember May 28, 2017 as one of the most memorable dates of my life because with a trip to New York, my daughter realized one of her biggest dreams ever. Not just a dream for her, however, because I also imagined walking on the street looking at the tall buildings of Manhattan. 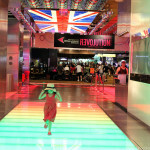 I had been to New York various times, but never with my daughter. This time we made it! We saved together until we finally had enough and I set up a big surprise. The rest is history. 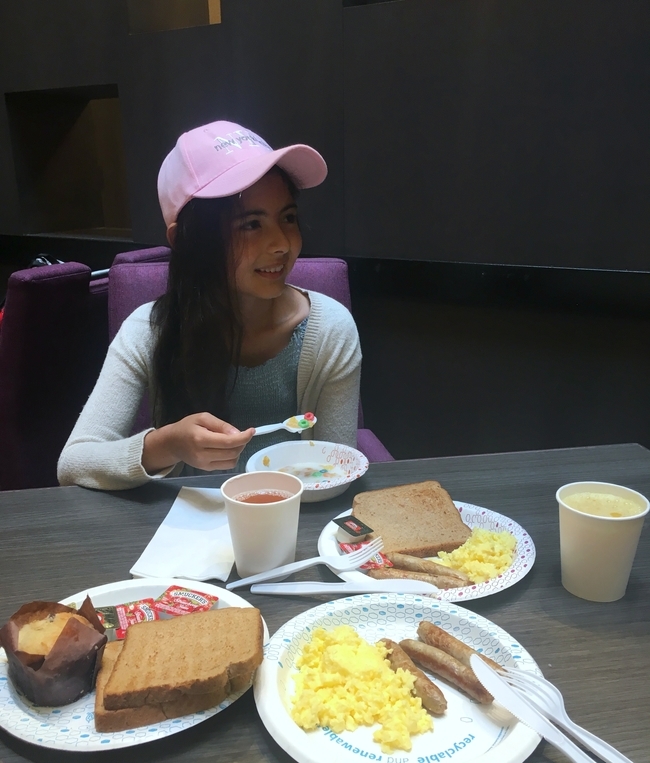 We enjoyed each day walking, viewing, eating pizza, sushi, donuts – everything she wanted to do. 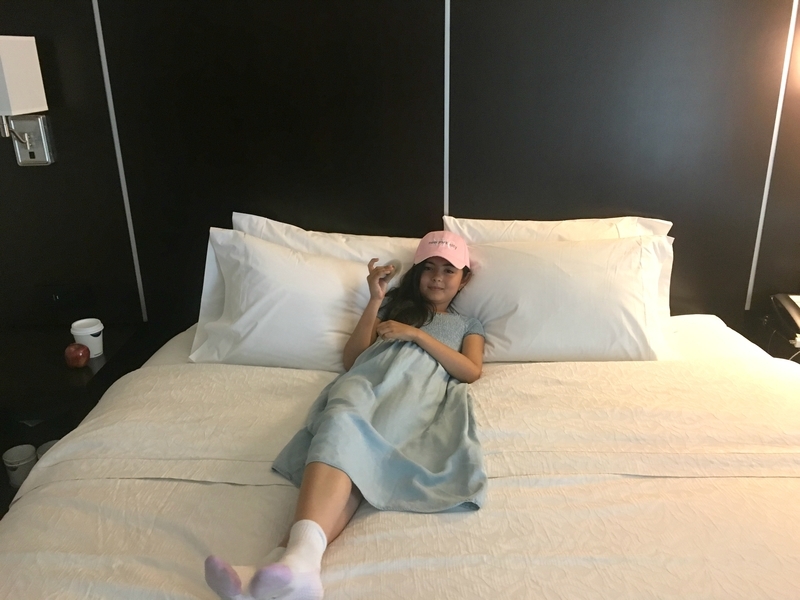 Would you like to see how we enjoyed this New York trip? In this video you will get an idea of everything we experienced in Manhattan. I prepared the surprise by asking my daughter to come with her dad to drop me off at the airport because I had a last minute job opportunity. She came along happily until the last moment when I told her she was coming with me. 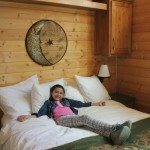 About an hour later she discovered that our destination was actually New York and she couldn’t control her excitement. Jumps, hugs, kisses, and words of thanks. Everything can be seen in the video. 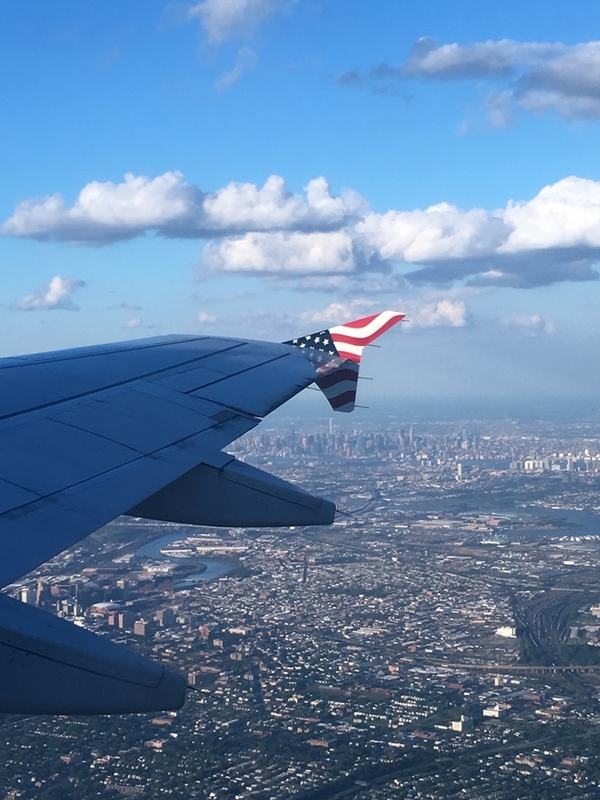 When traveling to New York you have the choice of three different airports: JFK, La Guardia, and Newark. I chose Newark because it would be less crowded and less chance of delays. It was a good choice! If you chose the same airport you can get to Manhattan via bus or train. If you take the bus you can get to Port Authority Terminal in about 40 minutes (approximately $17 for each adult and $5 for children between 5 and 11 years old.). The train costs about the same and goes from Newark Airport to Penn Station. I suggest you stay in a hotel close to all the city attractions and get acquainted with the closest Metro station. Fortunately, that’s what we had! 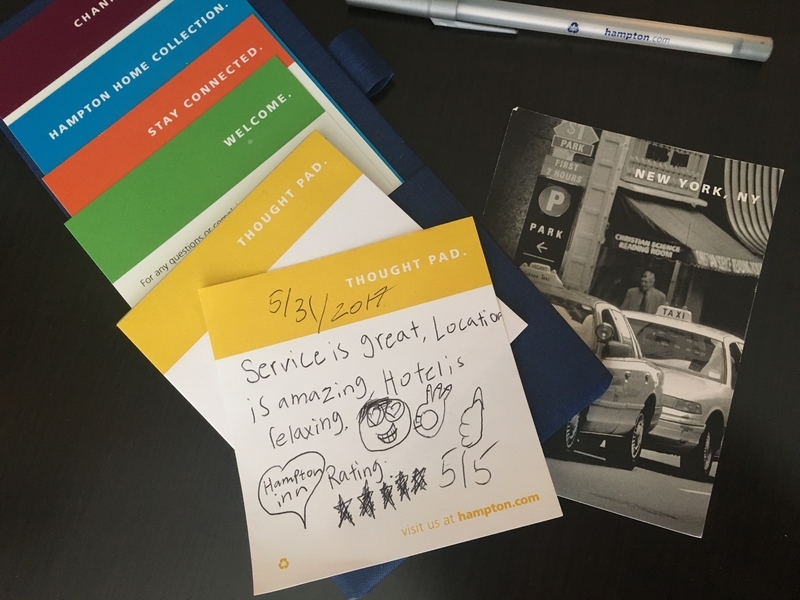 We stayed at the Hampton Inn Manhattan/Times Square Central, only a block from the bus station, surrounded by excellent restaurants, a few steps from the heart of Times Square with the subway at the corner. 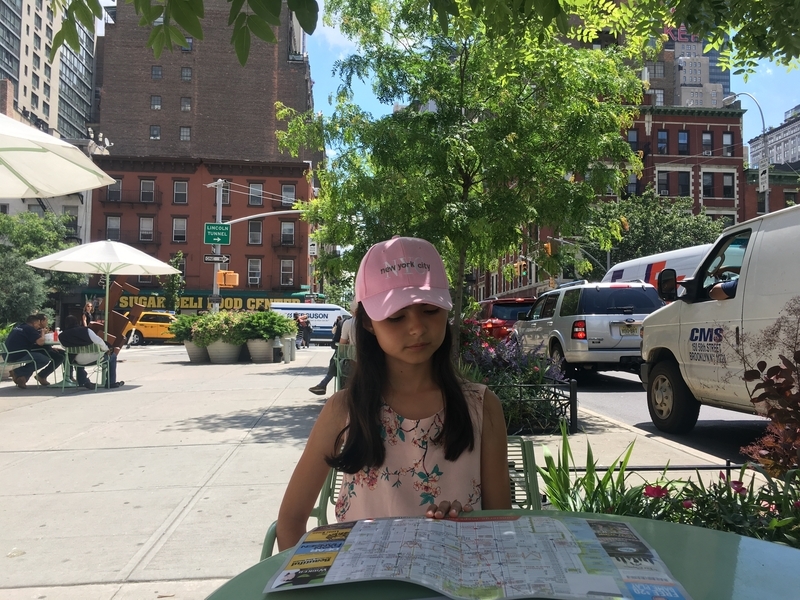 Thanks to this great choice we were able to visit lots of the places on our list in New York. 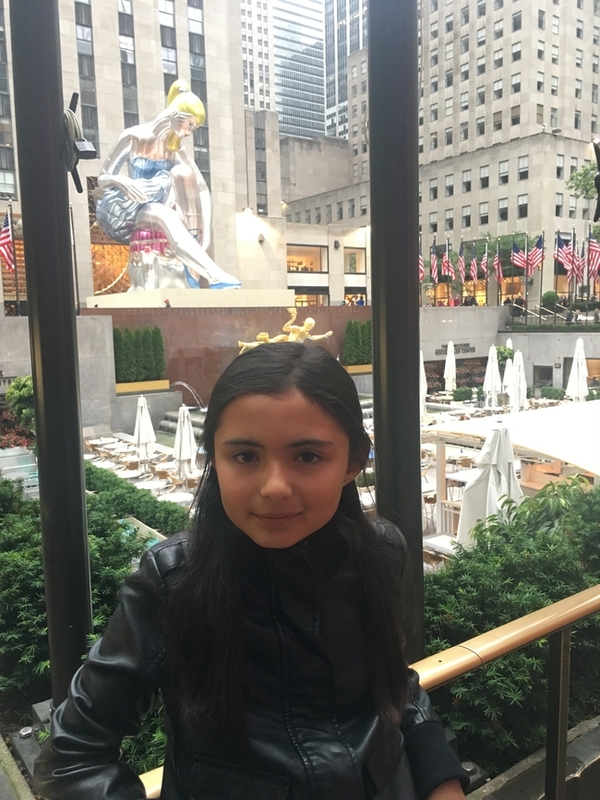 I can say that you would be able to walk to Rockefeller Center, the Empire State Building, Central Park, and lots of other important places. 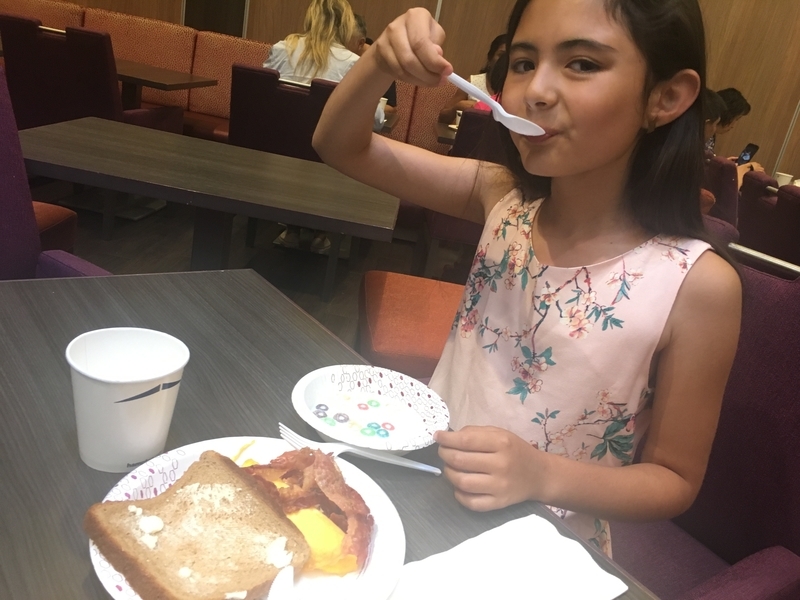 Another great point about the hotel is hot breakfast included each morning. 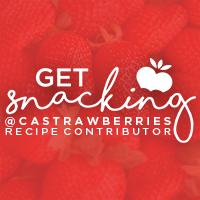 Waffles, eggs, sausages, bread, fruit, cereal, juice, tea, yogurt, and coffee. You can even get a box to go if you are in a hurry! 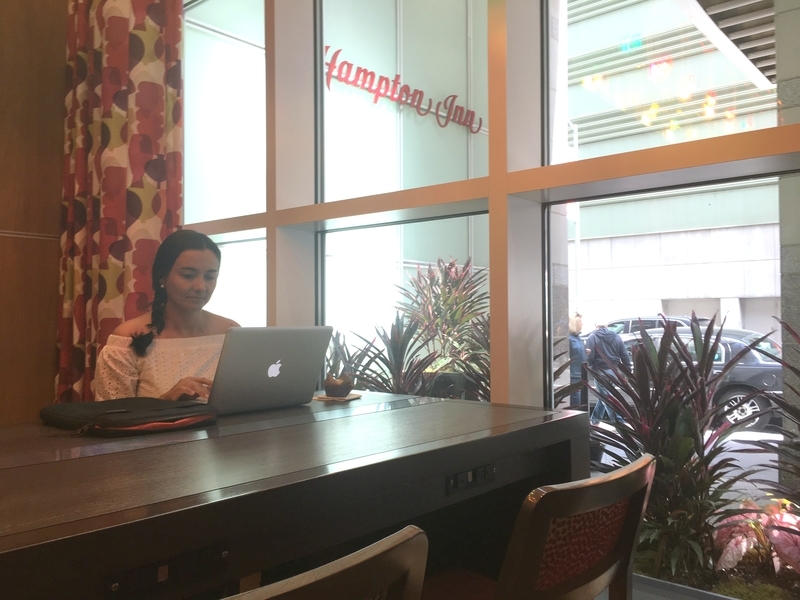 Free internet, impeccable modern facilities, excellent customer service… Did I mention each time we arrived in the lobby they served tea and we enjoyed it in our room? Sometimes with cookies. Hampton Inn Manhattan/Times Square Central: 220 West 41st St., New York, New York, 10036-7203. TEL: +1-212-221-1188. I recommend you acquire a New York CityPASS. Not only do you save a lot on entry fees to the most important city attractions, but you also avoid long lines and enjoy benefits that regular ticket holders miss. For example, you can go to the top of Empire State* building twice in a single day (once in the day and another after 10p at night). New York is a city full of beautiful places and fortunately most are free to visit. Central Park is one of those places where you can catch your breath between traveling and the kids can entertain themselves in an oasis in the middle of a huge city. It also includes a zoo, a carousel, and the Museum of Natural History*. Bryant Park is another amazing place where you can spend hours looking at the surrounding buildings, trees, fountain, and while at the same time, have a cup of coffee sitting in one of many chairs. Don’t forget to visit the majestic city library located at one of the corners. Rockefeller Plaza transforms in winter into one of the most famous ice skating rinks in the world and during warm weather offers magnificent expositions. 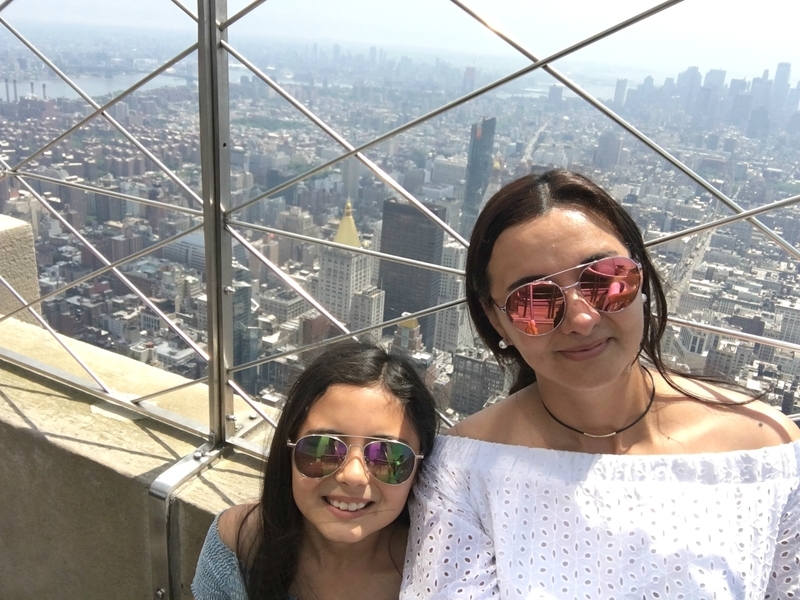 In the same Rockefeller Center you can find another great place to visit: Top of the Rock Observation Deck* where you will find one of the most beautiful views of the city. It is a “must” to take a walk through Times Square – where it is lit with millions of lights, giant signs, and it feels like night never arrives. Have a seat at the amazing Red Stairs located there, eat a hot dog from a cart, and get lost watching the many people passing by. You cannot go to New York without seeing the Statue of Liberty*. 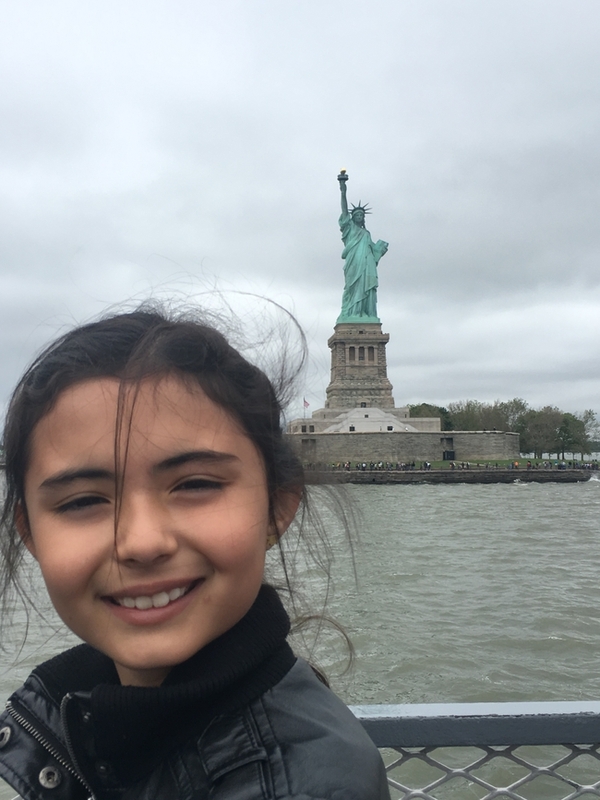 Take a ferry from Liberty State Park and stop to see Ellis Island. This attraction as well as the ferry is included with your CityPASS. Without going too far you can find the World Trade Center where the Twin Towers stood. Here you can see the new building that was built replacing the towers and the museum* dedicated to remembering the tragedy that occurred on September 11. Just a little further you will find Wall Street, the famous Charging Bull, and the “Fearless Girl” that accompanies it. Chinatown, Little Italy, the Brooklyn Bridge, and the government buildings can be found around the same place. 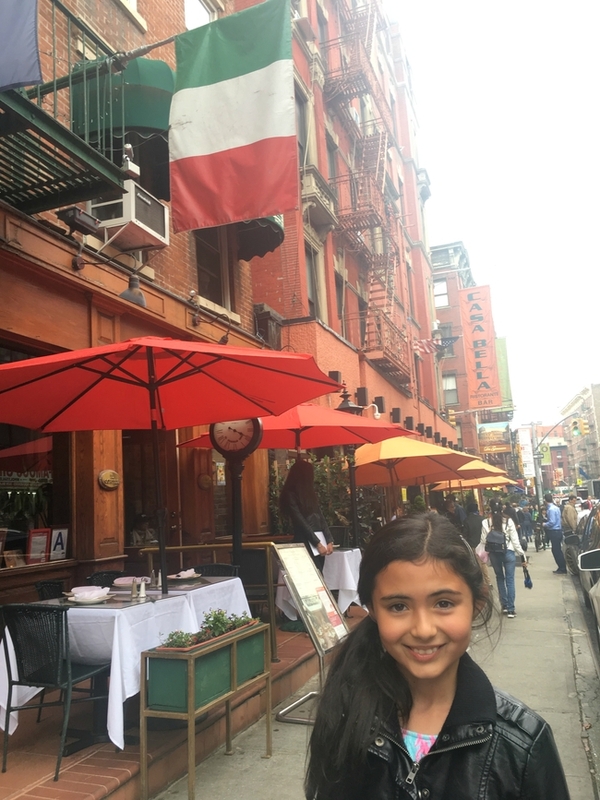 We enjoyed an exquisite lunch in Chinatown and got dessert in Little Italy at Ferrara. This was one of the best moments of our trip to New York. We came up with “Dinner in Bed” each night. We got back to the hotel exhausted and the bed was waiting. 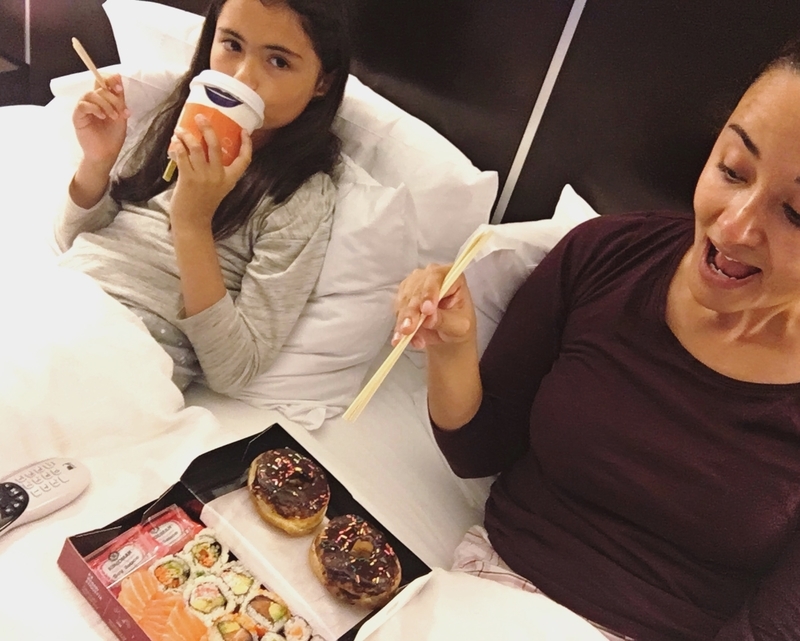 We delighted watching television and remembering what we saw while tasting sushi, chocolate donuts, and tea. Every day! Memories for the rest of our life! Are you thinking of taking a trip to New York soon? We would love you to share your experiences enjoying this great city! * The attractions marked with asterisk you can find are included with a New York CityPASS. 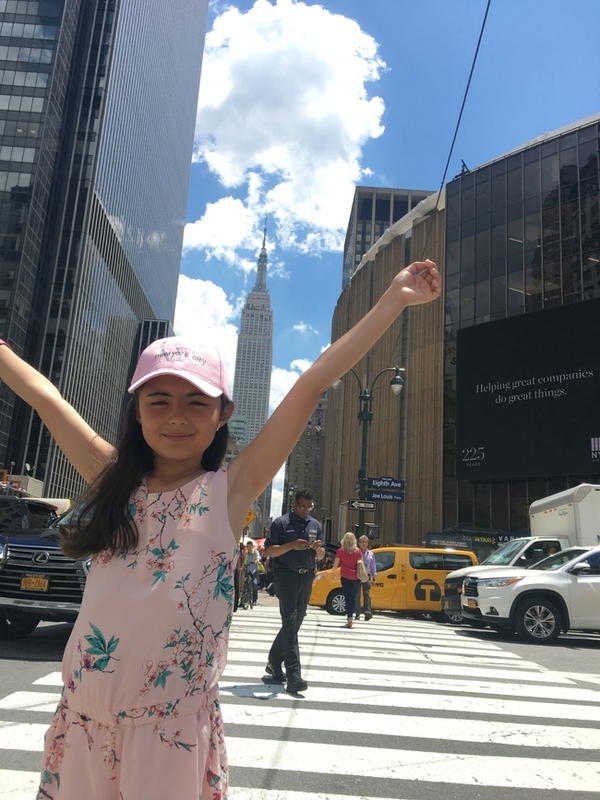 El 28 de mayo del 2017 lo recordaré como una de las fechas más memorables en mi existencia, porque con un viaje a Nueva York, se hizo realidad uno de los sueños de mi pequeñita. 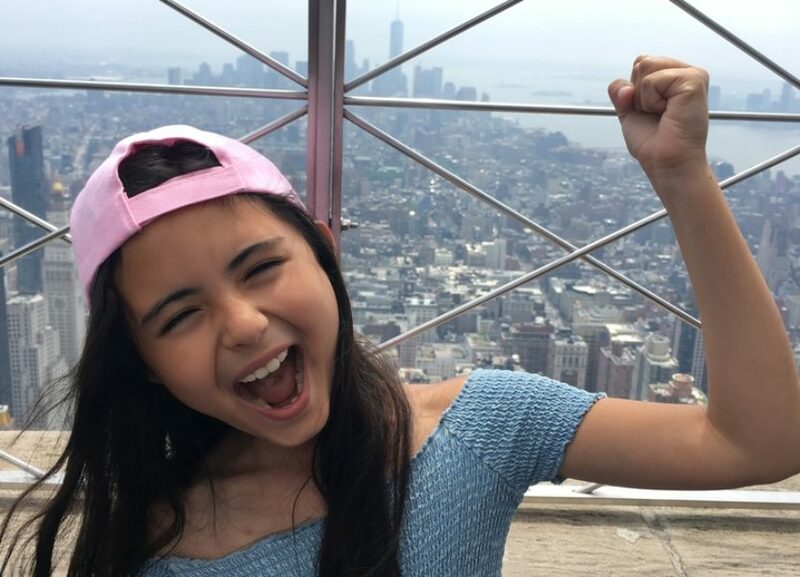 No solo el de ella, yo también soñaba despierta viéndonos recorrer esas concurridas calles, mirando hacia lo alto para poder divisar los impresionantes rascacielos y todas las maravillas que Manhattan ofrece a quienes la visitan. 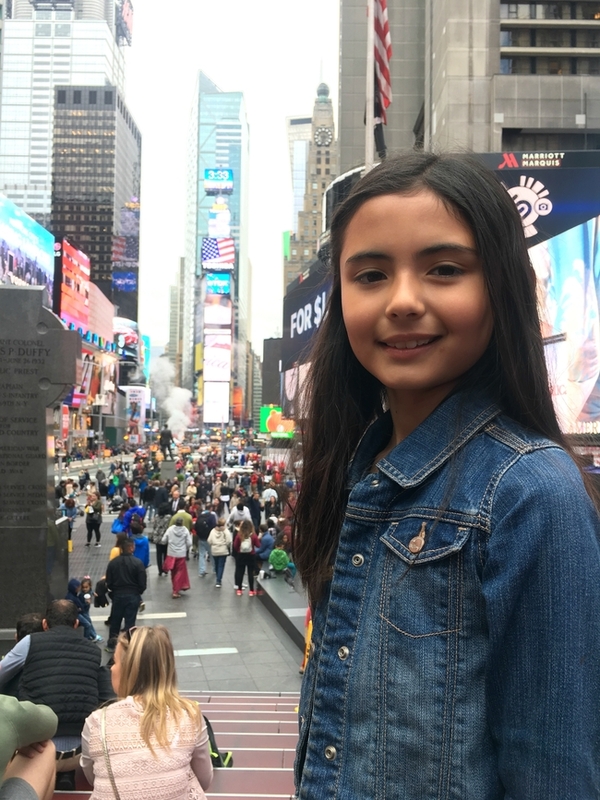 Había estado en Nueva York en numerosas oportunidades pero con mi niña nunca, y ¡esta vez se nos cumplió! ¡Lo habíamos logrado! Ahorramos entre las dos, cuando ya tuve suficiente preparé el viaje como una sorpresa para ella y a partir de ahí, ya todo es historia. Pasamos los días más felices conociendo, caminando, comiendo pizza, sushi, donuts…todo lo que ella quisiera. ¿Quieres ver cómo gozamos este viaje a Nueva York? En este video podrás hacerte una idea de todo lo que disfrutamos en Manhattan. La sorpresa se preparó pidiéndole a la chiquita que acompañara a su papá a dejarme en el aeropuerto, pues me había resultado un viaje de trabajo a último minuto. Ella accedió con un poco de melancolía sin presentir nada, y en el momento de despedirnos, fue cuando le conté a ella que se iría conmigo. Una hora después supo que nuestro destino era Nueva York y ahí sí que no pudo controlar la emoción. Saltos, abrazos, besos, palabras de agradecimiento y una que otra lagrimita de felicidad. Todo esto lo puedes ver en este video. Al dirigirte a Nueva York, tienes la posibilidad de escoger entre tres diferentes aeropuertos: JFK, La Guardia y Newark. Elegí llegar y partir desde el aeropuerto de Newark, por ser el menos congestionado. Quise evitar a toda costa una demora en el vuelo o cualquier otro inconveniente. ¡Un gran acierto! Si decides hacer lo mismo, puedes arribar a Manhattan en bus o tren desde el mismo aeropuerto. Si tomas el bus, en menos de 40 minutos llegas hasta el terminal de buses Port Authority (aprox. $17 por adulto y $5 por niño entre 5 y 11 años). El tren tiene un precio similar, también sale desde el aeropuerto de Newark y llega hasta Penn Station. Te sugiero hospedarte en un hotel central, cercano a todas las atracciones de la ciudad y que cuente con una estación de metro cerca. Por fortuna, ¡aquí tuvimos otro gran acierto! Nos alojamos en el Hampton Inn Manhattan/Times Square Central, a solo una cuadra de la estación de buses, rodeado de excelentes restaurantes, a unos pasos del corazón de Times Square y con parada de metro en una esquina. 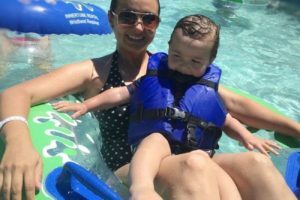 Gracias a esta buena elección pudimos cumplir con muchas de las visitas que teníamos en nuestra lista de viaje a Nueva York. Con decirte que desde el Hampton Inn en Times Square Central, puedes irte caminando a Rockefeller Center, el edificio Empire State, Central Park, y a muchos sitios importantes más. Otro punto a favor del hotel, fue el disponer de desayuno caliente gratuito cada mañana. Waffles, huevos, salchichas, panes, frutas, cereales, jugos, té, yogur y café. ¡Incluso te ofrecen cajitas para llevar la comida si tienes prisa! Internet gratuito, instalaciones nuevas e impecables, estupendo servicio al cliente…¿te conté que cada vez que llegábamos al lobby servíamos té y lo disfrutábamos en nuestra habitación? Algunas veces con galletas. 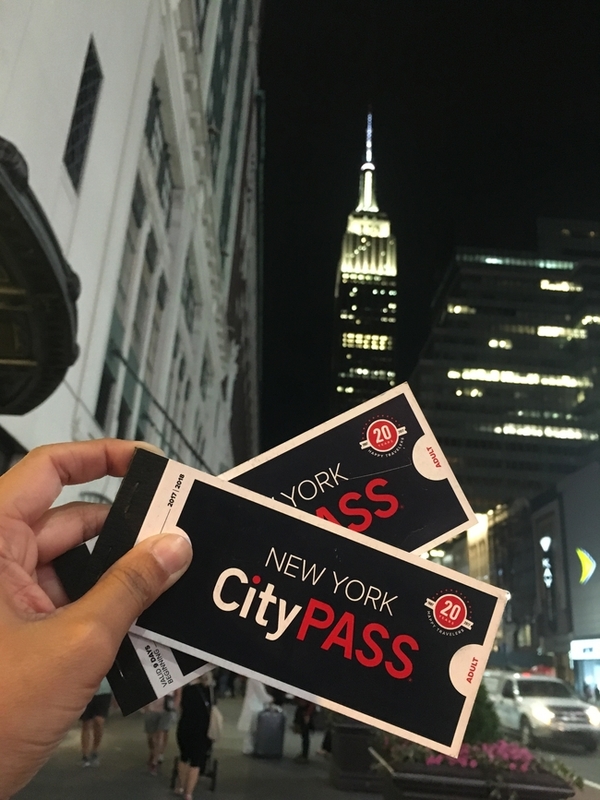 Te recomiendo adquirir el CityPASS New York. No solo ahorras una buena cantidad en el precio de las entradas a las atracciones más importantes de la ciudad, sino que también evitas largas filas en muchas de ellas y disfrutas de otras ventajas que los boletos regulares no tienen. Por ejemplo, puedes acceder dos veces el mismo día al observatorio del edificio Empire State (una en el día y otra después de las 10 de la noche). Nueva York es una ciudad en la que encuentras sitios hermosos y que por fortuna, muchos de ellos son gratuitos para visitar. 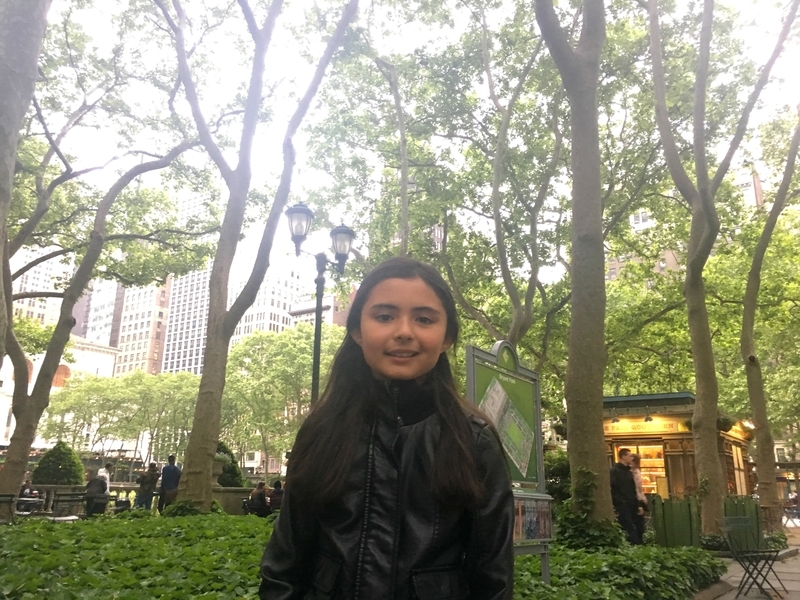 Central Park entra en esta categoría, sin embargo las atracciones tienen un costo para acceder a ellas; allí puedes tomar un respiro durante el agitado viaje y los niños se entretienen en este oasis en medio de la gran ciudad. Incluso hay un zoológico, un carrusel y es la sede del Museo de Historia Natural*. Bryant Park es otro de esos lugares con encanto en los que se pueden pasar horas mirando los edificios que lo rodean, sus árboles, la fuente, y al mismo tiempo, tomarse un cafecito en una de sus numerosas sillas. 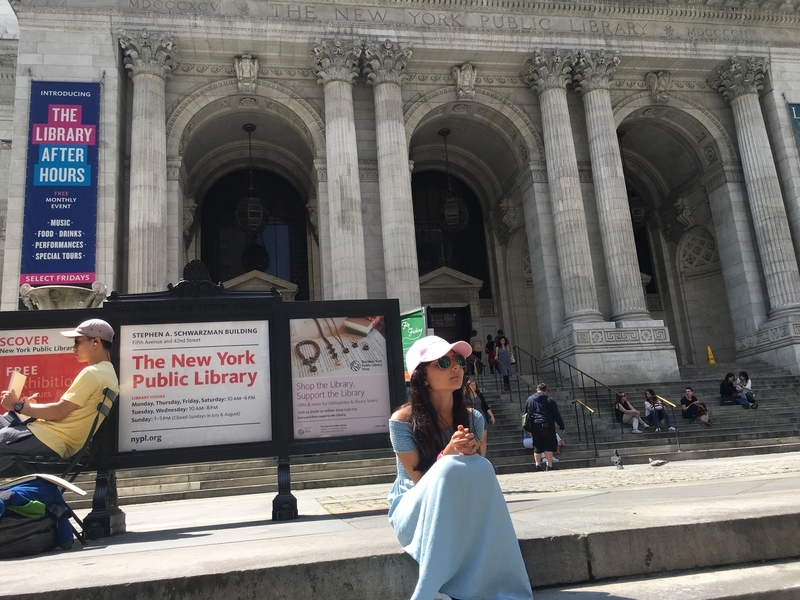 No olvides visitar la majestuosa biblioteca de la ciudad, ubicada en una de sus esquinas. 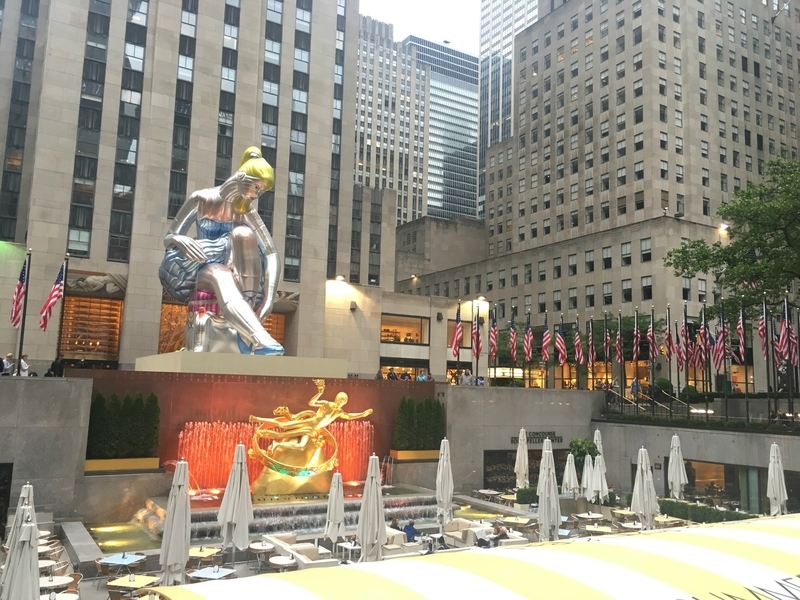 Rockefeller Plaza se convierte en el invierno, en la pista de patinaje de hielo más famosa del planeta y en temporada de calor, es sede de magníficas exposiciones. En el mismo Rockefeller Center encuentras otro punto interesante por visitar: Se llama Top of the Rock Observation Deck* y ahí tendrás una de las vistas más bonitas de la ciudad. Obligatoriamente hay que darse un paseo por Times Square, esa extensa calle iluminada por millones de luces, avisos publicitarios gigantescos y en la que parece que la noche no llegase nunca. Siéntate en las famosas escaleras rojas localizadas en el lugar, come un hot dog de los carritos callejeros y distráete observando el numeroso gentío que recorre esta vía. No puedes irte de Nueva York sin acercarte hasta la Estatua de la Libertad*. Toma el ferry en Liberty State Park y aprovecha la visita para conocer Ellis Island. Esta atracción, junto al recorrido en ferry, hacen parte del CityPASS. Sin irnos lejos puedes pasar por el World Trade Center donde acostumbraban estar las Torres Gemelas. Aquí podrás ver el nuevo edificio que se levantó en su reemplazo y el museo dedicado a recordar la tragedia ocurrida el 11 de septiembre. 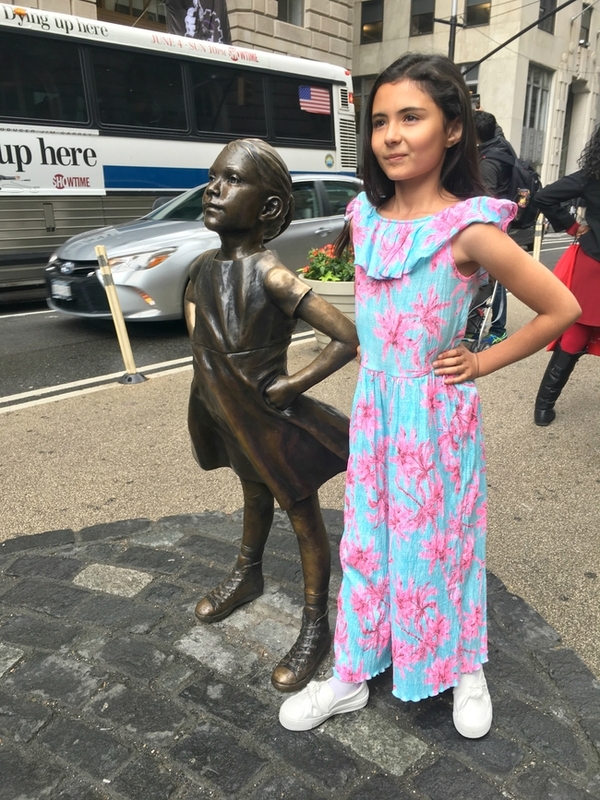 A pocos metros encuentras la bolsa de Nueva York, la famosa escultura del toro dorado y la “Fearless Girl” que lo acompaña. Chinatown, Little Italy, el puente de Brooklyn y los edificios del gobierno se encuentran ubicados en el mismo sector. Nosotras disfrutamos un exquisito almuerzo en el barrio chino y el postre lo compramos en la pastelería Ferrara de Little Italy. Uno de los momentos que más disfrutamos de nuestro viaje a Nueva York. Nos inventamos “Dinner in bed” cada noche. Llegábamos agotadas, la camita del hotel nos esperaba; y allí nos deleitábamos viendo televisión, recordando lo que habíamos visitado, mientras saboreábamos sushi, donuts de chocolate y té, ¡todos los días! ¡Recuerdos para toda la vida! ¿Estás pensando en preparar un próximo viaje a Nueva York? Nos encantaría que nos compartieras tus experiencias para gozar al máximo de esta gran ciudad. 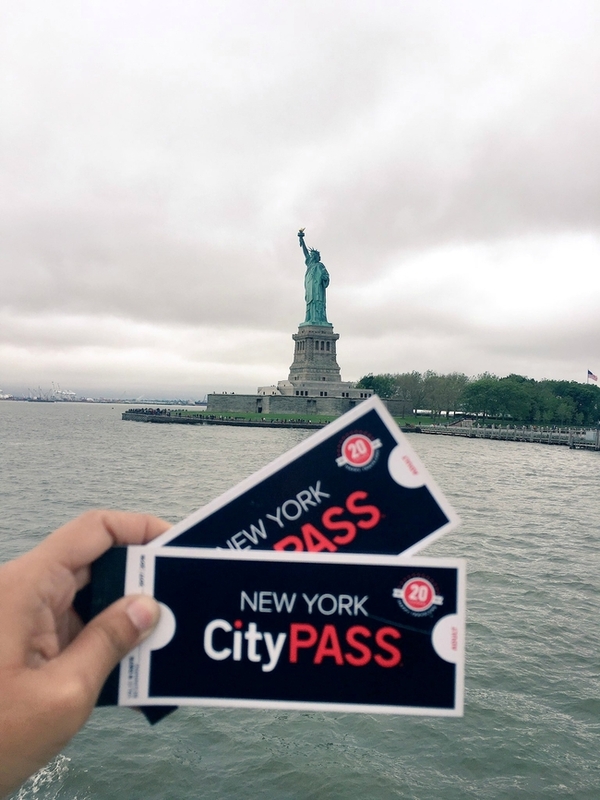 * Las atracciones marcadas con asterisco se encuentran incluidas en el CityPASS New York. Que hermosa experiencia. 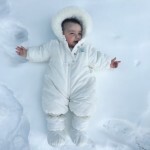 Estuve siguiendo tus publicaciones por Facebook, bellísimas las fotos y todo lo que compartiste con tu hija. Una experiencia inolvidable, seguramente! Preciosa tu niña, se nota que le gusto la sorpresa, esa carita de felicidad lo dice todo. Que buena experiencia para las dos! 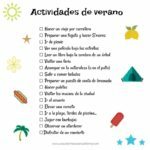 Me encanto todos los tips que diste para disfrutar de un viaje a NY. Me parecio muy completo. Voy a volver a este post cuando sea hora de volver! 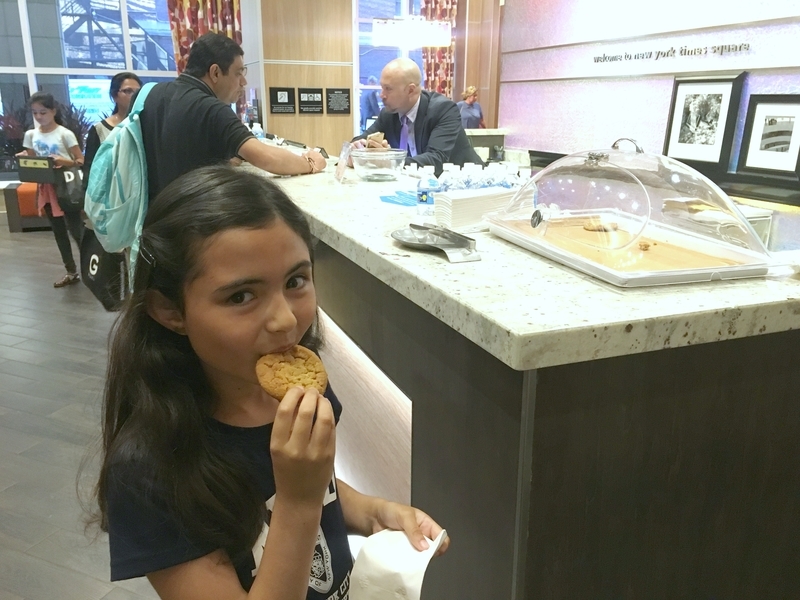 great post – glad you had a fun time in my hometown ~ next time, try the oyster bar in grand central – authentic NY. vaya con dios! Thank you so much, Ed for your suggestion. Definitely, we have to come back soon to NY and try the oyster bar. Sounds so good! !